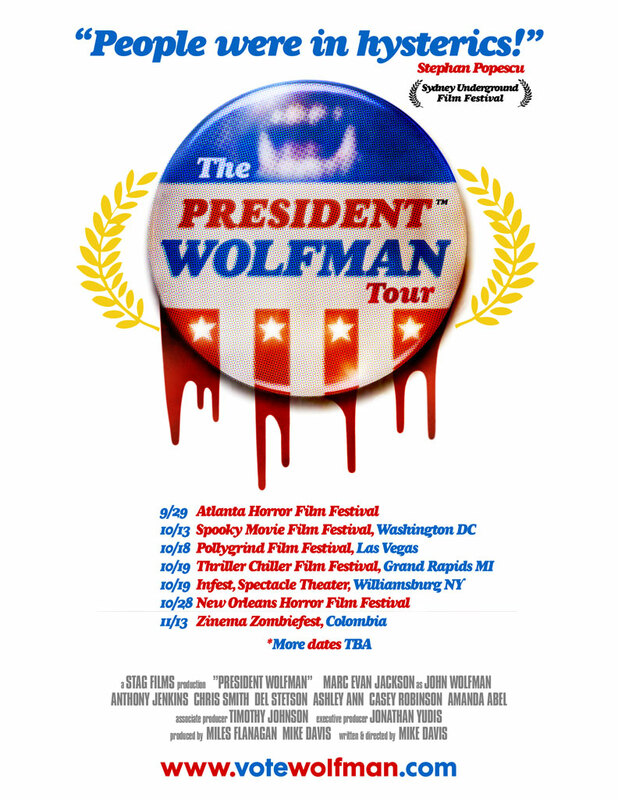 PRESIDENT WOLFMAN World Tour 2012! See full screening list below. The President of the United States has been bitten by a werewolf and is loose on the streets of Washington on a killing rampage! This comedy/horror/political satire is also a ‘green movie,’ made entirely out of recycled stock and public domain film footage culled from over one hundred grainy government instructional shorts, classroom education movies, vintage stag reels and long lost b-movie features. Director Mike Davis re-dubs and reassembles the old footage with new dialogue supplied by a talented cast of voice actors led by Marc Evan Jackson (as John Wolfman) and a wild new storyline to create the ultimate midnight movie mash-up!